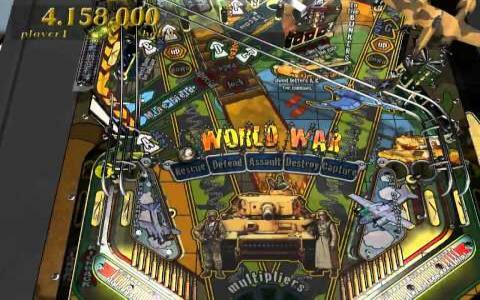 Your enjoyment of this is largely going to depend on your feelings about pinball in general. 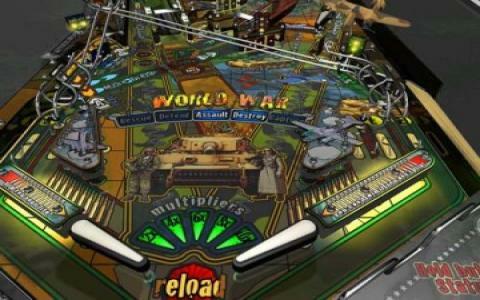 If you find such games as Pinball Dreams rather tedious then this is unlikely to change your mind but if you're into that whole ball bouncing, high score chasing thing, then there is much to enjoy here. There are three tables on offer here, theme around racing, war and trains, each of which offer all the expected flippers, modes, themes and opportunities fir racking up points. 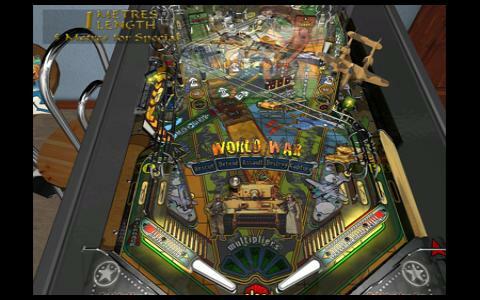 Any pinball game lives and dies by its physics system and fortunately, what is implemented here is very well done, with the ball behaving in a very realistic fashion that allows you to get on and enjoy the game. 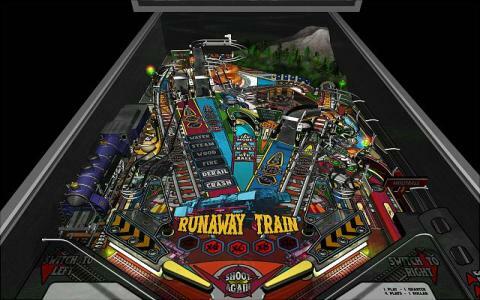 The three tables available are pretty decent, with some good variety in their playstyles, although the train themed level is slightly less interesting than the other two, thanks to its fairly lackluster design. The other two though are enjoyable stuff, so the inclusion of one less than stellar table is forgivable. If you are into your pinball games, this is good stuff. The visuals are slick and highly pleasing on the eye, with a lot of attention having been paid to surface reflections and suchlike, so there is a lot of detail to attract the eye and which helps the game to stand out. As mentioned, the physics system is just as detailed, with a sense of realism that borders being in a real arcade and which further helps to give the impression of a quality game. 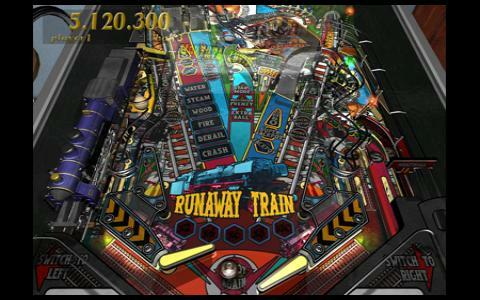 Sound effects are just as well done so at the end of the day, pinball fans would be well advised to give this a whirl.